A powerful mixture of philosophy and comics that could change your life forever. In a dangerously uncertain world, Kochalka plots a theoretical path to happiness. Collecting his most intensely thoughtful work, Kochalka tackles the big issues . . . comics and art, birth and death, technology and joy, and everything in between. 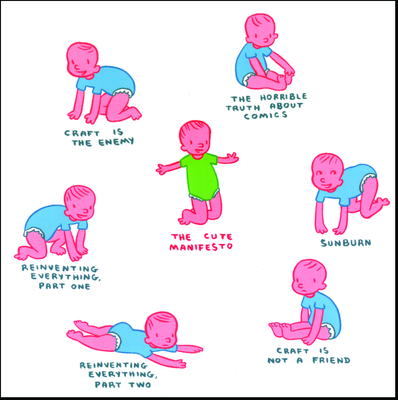 Included are "The Horrible Truth about Comics," "Reinventing Everything" parts 1 and 2, "Sunburn," "The Cute Manifesto" and even Kochalka's famous "Craft is the Enemy" essays. James Kochalka: The first Cartoonist Laureate of Vermont, James created the long-running American Elf daily comic. He's the author and illustrator of several popular children's books, including Johnny Boo, Dragon Puncher and Peanutbutter & Jeremy. James won the Eisner award in 2012.